UK based musicians who boast an impressive array of previous tours including the UK, Australia, Germany, The Czech Republic, Spain, and Latin America. “Ricardo has helped us on various projects over the years. From one off music videos to short films following us on various adventures. The most ambitious project he carried out for us was the production of a DVD of our re-union performance back in 2007. He managed to organize and direct a fleet of personnel (who were all volunteers) to create a portrait of our group of musicians in the relaxed setting of our local music pub, performing acoustically, and in the more formal setting of a theatre show. His attention to detail, tireless enthusiasm and positivity is contagious and really brought out the best in all involved. Ricardo managed to work his way through a huge amount of material in the editing process to produce a polished, professional and marketable film which has received positive acclaim from both fans, musicians and filmmakers. My relationship with Outroads (and their head honcho Geoff Walsh) goes back to the very beginning of my career in video and film production. One of my earliest undertakings was to enter a local competition called “2 Weeks 2 Make It” in which 30 local musicians were randomly paired with 30 local filmmmakers after which they had just two weeks to fully plan, shoot, edit and deliver a complete music video. Little did I know that the meeting would have grown to what it is today. After that first video for the song “Amigo Mio Bacon” I went on to produce and direct (and even act in, yikes!) the documentary “Brother” with paired their music with the story of a man living with a brain condition that could kill him but who lives life to the fullest. Of our many adventures I also accompanied them on their quest to perform 24 gigs in 36 hours across Sheffield which was an exhilarating and unforgettable quest. My proudest moment with the band was the live DVD “The Dog & Lantern” which was a combination of a theatre show and acoustic pub set which I blended together (often mid song) or a look at their range and heart….and wonderful songs. 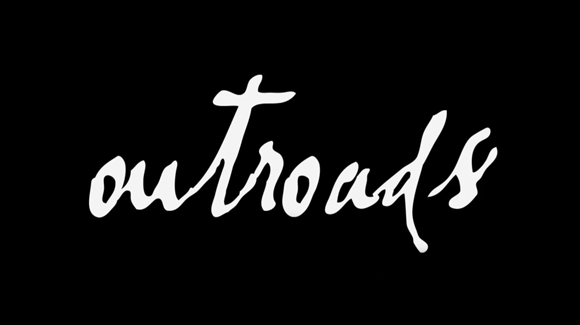 I would drop anything to work with Geoff and Outroads as I am not only a fan of their music, but of their creative integrity and outlook on life.